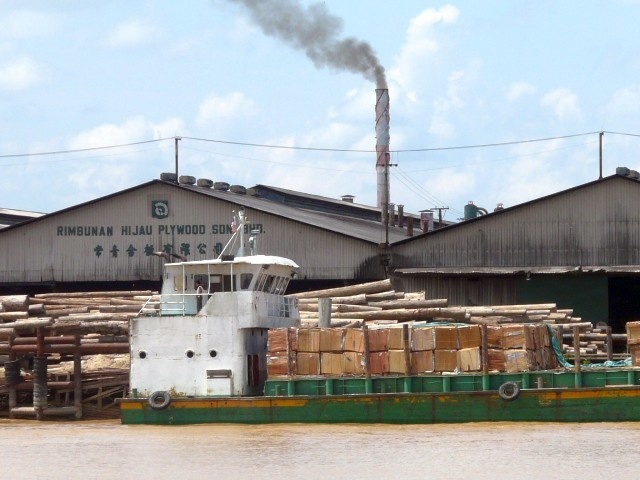 According to Sarawak Timber Industry Development Corp (STIDC), major plywood mills in Sarawak are increasingly using wood residues to generate energy for their operations. There are now 14 biomass plants in Sarawak, which supplied energy for use in the mills. In fact, major timber groups such as Shin Yang, Samling, Rimbunan Hijau, Ta Ann Holdings and KTS all owned biomass plants. Last year the volume of wood residues consumed by these biomass plants was about 1.1 million tonnes. - Sourced The StarBiz. Besides using their own wood residues, some of the mills also sourced wood wastes from smaller mills and other wood processing factories to feed their biomass plants. STIDC figures show that there are 45 plywood mills, 171 sawmills, 21 veneer mills and 34 dowel/moulding mills in Sarawak. Using wood residues to generate electricity was one effective way to manage wastes so that it will not cause harm to the environment. In the early years in Sabah and Sarawak, wood residues were not utilised economically with much disposed of through open burning, burning in incinerators or dumped into the river causing pollution and other environmental problems. KTS group deputy MD, Mr. Lau said an average plywood mill with a monthly output of between 7,000 m3 and 8,000 m3 can generate wood residues to produce between 3MW and 5MW of electricity. A biomass plant with 3MW capacity will cost between RM10mil and RM15mil to build while the capital investment in a 5MW power plant is between RM20mil and RM30mil. The amount of electricity a biomass plant can generate will depend on the type of technology used. Lau pointed out that biomass plants were not cheap in terms of maintenance whereby plywood mills with their own biomass plants would still have to pay Syarikat SESCO Bhd, which is owned by Sarawak Energy Bhd for standby electricity based on minimum and maximum demand. Although the one-off capital investment in a biomass plants is huge, the long-term economic returns from energy savings would be substantial if plywood mills had to purchase power from the state grid. A plywood mill manager said his mill could save between RM400,000 and RM500,000 a month in electricity bill by having its own biomass plant. As such, simple payback period for a 3MW plant is between 2 to 3 years. That is pretty fast if you ask me. baguslah ada sumber tenaga alternative. kira macam recycle juga lah ni kan? Recycle and re-use. Kurangkan pencemaran.